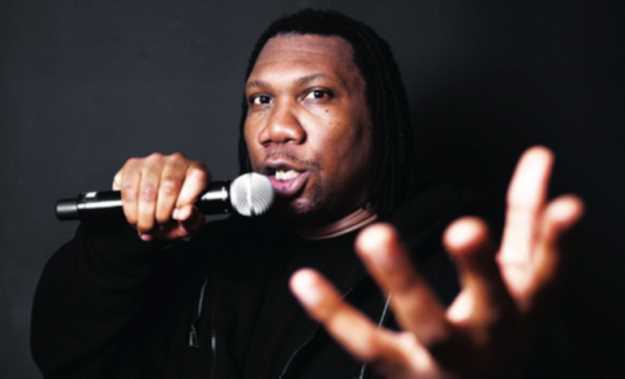 RAP ICON KRS-One is bringing his huge catalogue of tracks to the UK for a handful of live dates this year. He will be joined by his son Kris Parker, also known as DJ and producer Predator Prime. The Voice had a few questions for the rap legend ahead of his performance. The Voice: How do UK crowds stand up to home crowds? KRS-One: There's no comparison. Hip-hop is much more appreciated in the UK and throughout Europe than it is in the United States; especially my style of emceein. The 'conscious' rapper can actually live in peace, raise a family and get money as well as respect in the UK and Europe. Yes, Americans of all backgrounds do respect the 'conscious' rapper, but very few Americans back that respect up with real money and real opportunities. Having said that, I must shout-out the Rock the Bells festival, which doesn't happen anymore, and the Made In America festival as well as the Roots Picnic festival, which I had to reluctantly cancel my appearances at this year due to my European tour being extended from July to about November. These festivals, along with venues like SOBs in New York, Whisky a Go Go and The Roxy in Los Angeles, The Middle East in Boston and Yoshi's in Oakland, California, among others have all shown KRS-One real respect and real nancial opportunities in the United States. The Voice: You are an international artist. Outside of NYC what has been your most memorable show and why? K-O: It was August 2007. I was performing in Brooklyn and it was there that I confirmed my metaphysical/spiritual training - I gained enlightenment. Back in 1981 to about 1983, I was living as a homeless man in Brooklyn. Like I said, I was searching for God and hip-hop, or rather God in hip- hop. One of the places that I found shelter at was Prospect Park in Brooklyn. Whenever it was raining or snowing, I would go to an abandoned band-shell performance area in the park; a huge stage area with a concrete semi-dome over the stage. But all of this was torn-up, broken, cracked and had been abandoned for years. Rats, birds, dogs and other homeless people shared this same space as well. Living on the literal street, God and spiritual living as well as hip-hop itself had to become real for me or I was literally going to die, or be seriously injured. So, I began praying and visualising my future better than where I was at that moment. Hungry, thirsty, cold and afraid I would find my spot under this band-shell, and using the broken-down and corroded environment that it was at the time, I would visualize myself performing for thousands of people. I begged God to make this reality for me and if She did, I would know for sure that God was indeed real and the mind is indeed a reality maker. As a man thinketh; so he is. Some 20-something years later in 2007, I found myself in Brooklyn performing at this same band-shell, which was now re-done, renovated and beautiful! As I proceeded to rock Brooklyn, I stopped the entire show to acknowledge my childhood affirmation and the fact that God was indeed real! As I told the crowd about the significance of me being at this very place, I saw people literally crying with joy and amazement. With about 9,000 people watching me perform at this free concert in the park, I then went to the very spot in the band-shell that I slept and visualised at in the 1980s and confirmed to my past-self that I had arrived at my future (present) self. I realised right there that not only is God real, but so is the power of one's own mind! The Voice: Favourite track for opening? Favourite encore track? K-O: Step Into A World opens and a track off my new album Now Hear This closes. And speaking of closing, you can go to krs-one.com for more info on my touring schedules as well as to purchase the new album there, as well as get deeper lessons on hip- hop and Black history. Hip-hop Forever!